Blue Evolution – The seaweed people who brought harvesting seaweed closer to home. Each product is infused with the highest quality seaweed on the market, naturally grown on Blue Evolution’s own ocean-adjacent, on-shore farms in the pristine waters of the Pacific Ocean. These farms use no freshwater, and reduce energy consumption to shift our food system towards renewables. When seaweed is responsibly harvested, it’s not only delicious and incredibly nutritious, but it also has the power to literally change our climate equation! 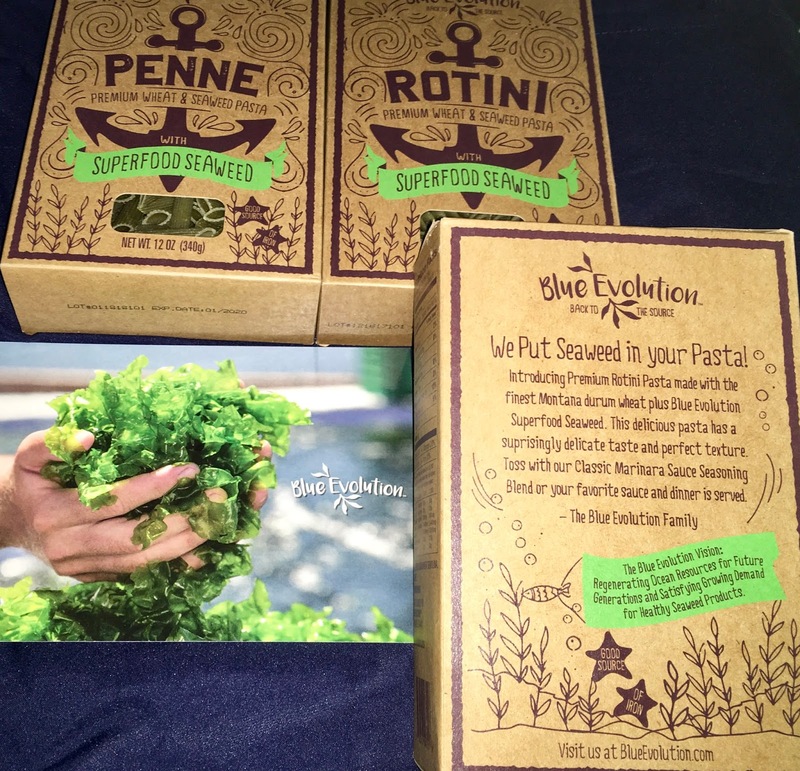 Blue Evolution’s seaweed infused Rotini and Penne work as a nutritious and beautifully green replacement for your regular pasta, and only have two ingredients–high quality, non-GMO Montana durum wheat and responsibly grown North American seaweed. The culinary magic of seaweed also means that Blue Evolution’s seaweed infused pastas contain less carbs than other pastas.